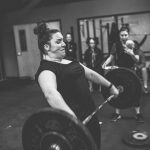 CrossFit Open WOD 17.4 done. Just one more workout to go in the 2017 CrossFit Open season! 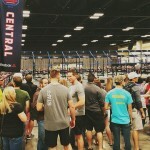 Unless Dave Castro throws a curveball, we have just one more Open workout left! 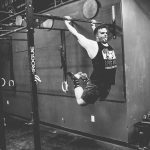 I’m definitely ready to move into the rest of my training and get back into some of the skills and drills I was working on, as well as our next programming cycle. I actually really liked this workout. It’s tough, super tough, but I am a fan of chippers and ticking off in my head the movement sets as I complete them. The structure and movements seem to challenge everyone at different places. 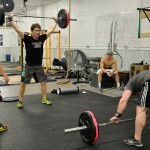 While some of my friends struggle with the heavy deadlifts, others get mired in wall balls. For me, the row is definitely the killer. I feel like I stopped myself from quitting at least a half-dozen times. Last year I got into the handstand push-ups with 4 reps, this year, I improved by 4 reps and got 8 total handstand push-ups. I think my mistake was reaching super high on the wall when measuring for the standard, and so it was hard getting my heels over the line. My arms were also complete rubber, but lessons learned. This photo says so many things. Alyssa was unknowingly pregnant during last year’s Open, and finished just one rep shy of her old score. Being judged by another of my favorite women holding her toddler. This is an awesome community! 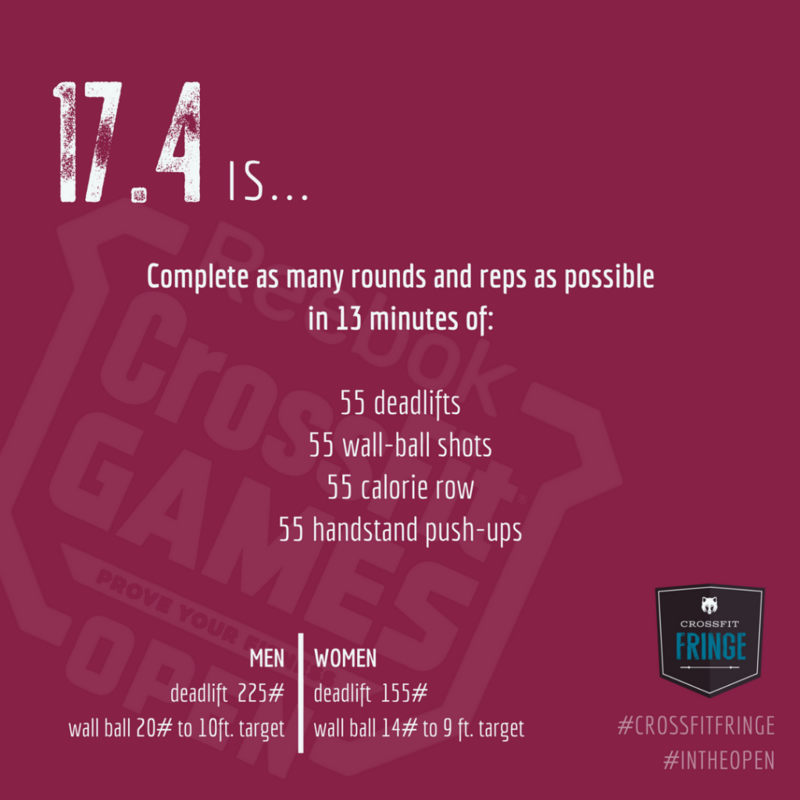 Unlike Open WOD 17.3, this is not one I would re-attempt. 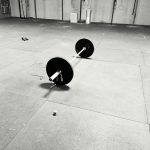 The 55 deadlifts at 155# are a lot, and I take ridiculous caution when it comes to any kind of volume deadlift or olympic lifting. Typically when either of those things are present, I take an extra day or two to recover and am extra attentive toward my mobility work. Unless you are going to regionals or you just completed blundered your attempt, there’s no point in inflicting that kind of stress on your body repeatedly within a few days. This all being said, I’m happy with my score. 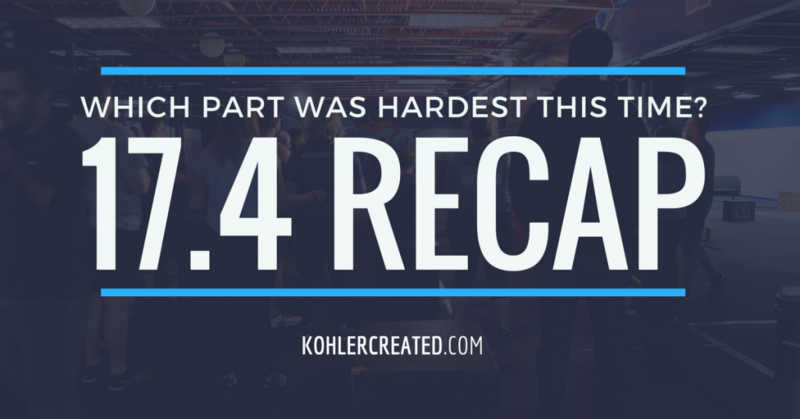 I think I had it in mind that my handstand push-ups have improved so much in the past year that my rep count would have been higher, but I was really fatigued coming off the rower and my arms were jello. I think I paced it well. I had a plan going in, and stuck with it. I think I definitely need to be doing some handstand push-up work under fatigue and not always in strength and conditioning situations where I’m fresh. Again, if I feel really bad, I always err on the side of caution. Nothing is worth injury. But on the other side of where I’m at in CrossFit is Brooke Wells, 6th fittest woman and chosen for the Open Workout Announcement. Pretty thrilling to have your own hometown celebrity + get to watch her do the announcement. So many feels. After doing it in the announcement, she re-did it (obviously the stakes are much higher). She posted her video to YouTube. You should definitely check this impressiveness out. 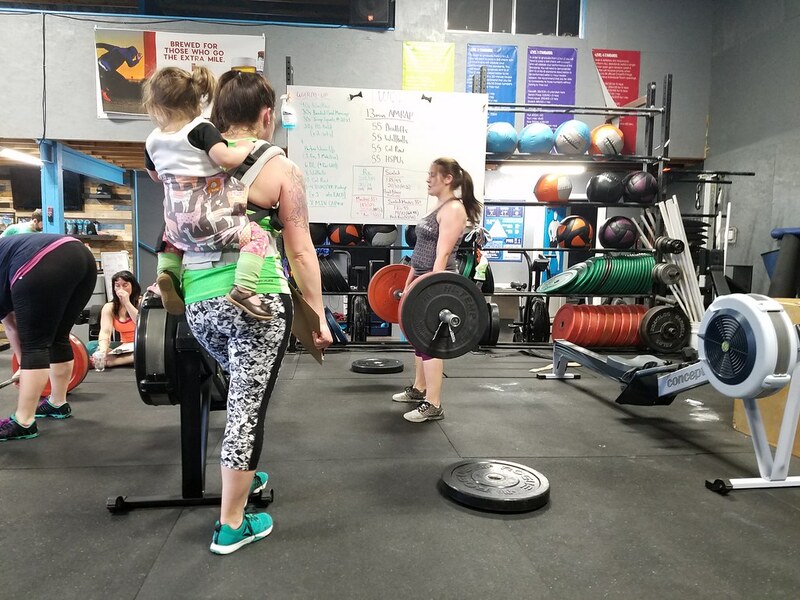 I came in after this all went down, she also did heavy back squats, and some awful looking thing involving muscle-ups, running, burpees and the assault bike. I say it nicely, and in the best way possible, she’s not human. Well, I think we can all agree it’s likely to be something involving dumbbell thrusters and double-unders. But I’m still holding out hope for something with pistols and ring muscle-ups. A girl can dream right?